Eric has spent the past 30 years fishing the local Southern California and coastal Baja, MX water. He landed his first saltwater fish, a yellowfin tuna, at the age of 10 on a local overnight boat. The anticipation and excitement of that first experience has never faded, it has grown into a passion for this sport and industry. 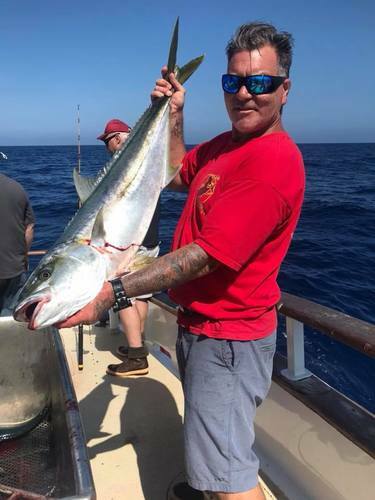 Eric's extensive knowledge and experience is earned through childhood years deck handing on 1/2 day boats, running numerous private fishing boats to eventually owning and operating one of the most successful 6 pack charter operations in San Diego. Capt. 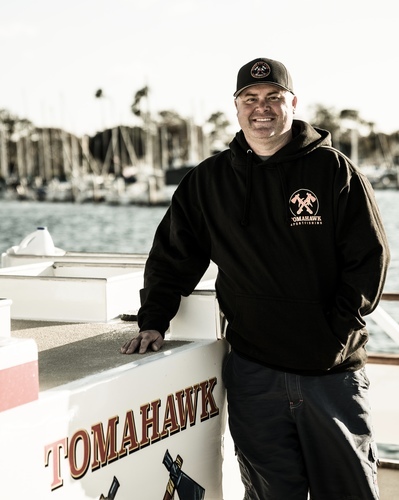 Eric is passionate about the Tomahawk and your experience as an angler on the boat. Eric believes in "going the extra mile” and providing long-range quality food and service on an overnight boat for our customers to enjoy. 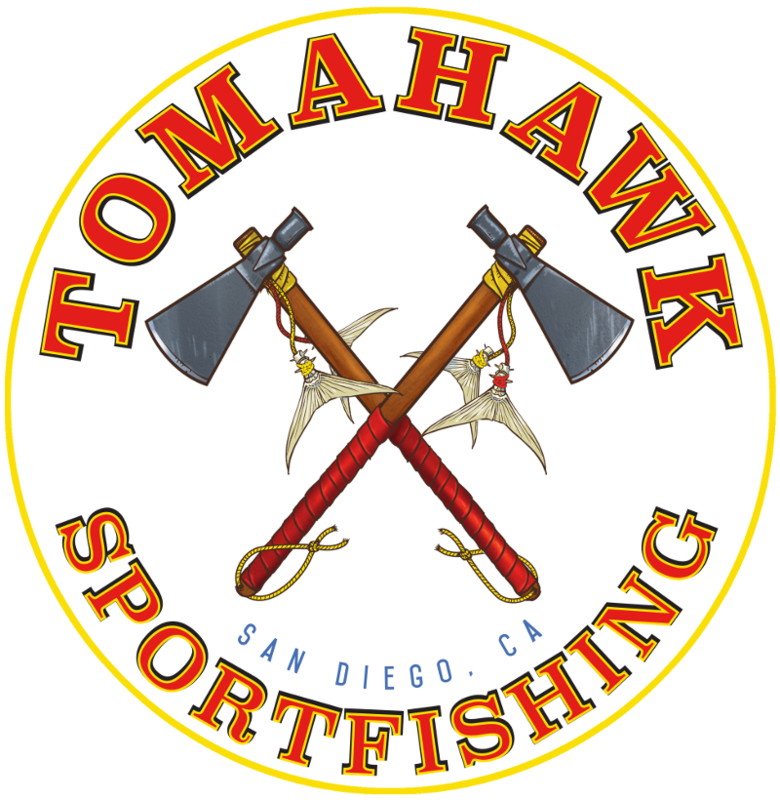 It is his goal for you to be completely satisfied with your trip so any time you think about fishing, you think "TOMAHAWK!". In his time away from fishing, Eric enjoys quality family time with his wife, Delya, and his daughters, Ashlynn and Berlin. He is also a Firefighter Paramedic for a local Fire Department. He can often be heard quoting movie lines from "Step Brothers". 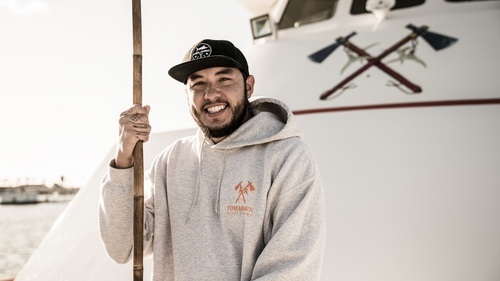 Mike has several years of crewman experience working on Southern California sport boats including private charters and zone 2 fishing. 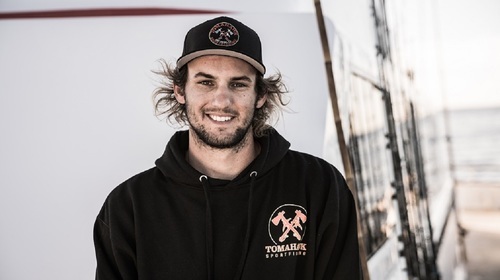 He grew up on the water surfing and fishing So Cal and the Baja peninsula. Mike proudly earned a USCG 100-ton Master license in April 2017. 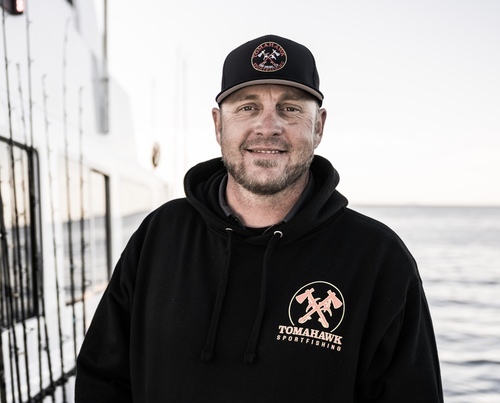 With impressive work ethic and obsessive fish handling and filleting skills, Mike is an integral part of the Tomahawk team. His easy-going attitude puts customers at ease. That same demeanor makes him quite content in a cozy shack on the beach with his skiff and fishing gear! Chapo has a zest for life and a love for the ocean. He's a life-long fisherman that lives by the Three "F's": Family. Fishing. Food. He has a passion for all of them and his enthusiasm can be contagious. Chapo's motto is "Anything worth doing is worth overdoing.". Mikey grew up in San Diego honing his skills fishing all the local lakes and bays…then he got a taste of the offshore action. 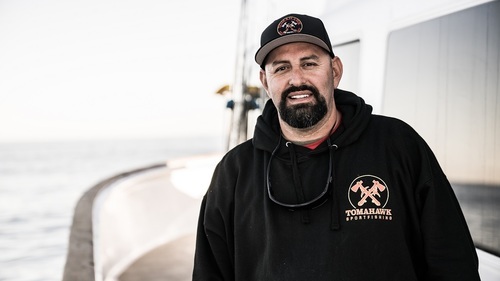 He’s spent the better part of the past 10 years chasing pelagic species in SoCal and Baja, Mexico waters. He’s a jig fisherman to his core and is willing to teach you to “Always trust the iron!”. Fun facts: Mikey also owns a catering business that specializes in delicious Filipino & Hawaiian food. You will occasionally find him filling in as our relief chef, serving up some fan favorite island influenced dishes. No surprise here but his other hobbies revolve around the “big blue” including surfing and free-dive spear fishing. Those skills might come in handy on a paddy full of fish with lockjaw some day!